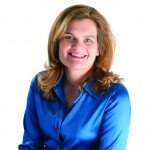 Kristin White is an educational consultant who helps students and families evaluate colleges, boarding schools and independent day schools, while also helping them navigate the admissions process. Kristin’s educational consulting firm, Darien Academic Advisors, LLC, is based in Darien, Connecticut, but works with students and families across the U.S. and around the world. In the last ten years, she has worked with hundreds of families from 19 different countries and 20 different states. Kristin is a member of the Independent Educational Consultants Association, where she is a member of the Outreach Committee, and the New England Association for College Admissions Counseling. She is a graduate of Georgetown University and has an MBA from the University of Texas—Austin. The story of how Kristin became an educational consultant begins when she was a student at Georgetown. Every Tuesday night she boarded a white van with 12 other students to make a trip across the city to Sursum Corda, one of the roughest housing projects in Washington, DC. She was a volunteer tutor in the oldest and most successful partnership between a university and a low-income community—now thirty-five years and going strong. Her “tutee” was a little boy named Eric who was in kindergarten when she started working with him. Their goal as tutors was not only to instill a love of reading, but a belief that anything was possible with hard work. The mentors were trained in early literacy strategies, and she became very interested in how children learn and progress. By her senior year, she was the director of this program, managing 120 volunteers and four weekly trips to Sursum Corda. She was close to Eric and very proud that he was one of the most dedicated and hard-working students in the program. Holy Trinity is a Catholic elementary school on the campus of Georgetown University, which is attended by children from affluent families, who typically go on to the city’s prestigious private high schools. She became determined that Eric and his best friend Morris would join the 4th grade class there after she graduated and moved to New York. After a lot of negotiating and a little fundraising, her first match in the educational field was made! She started her career in finance, but was busy fundraising on the side in order to keep Eric and Morris in school. Within a year, things had grown and there were 5 Sursum Corda kids at Holy Trinity, and she was joined by a team of Georgetown graduates who fund raised and supported these students. Soon a Board was established, a non-profit was formed, and more and more money was raised each year. She was the President of the Board, while working at her entry level job in finance. She found her real job to be a drag, while she was invigorated by finding placements for the Scholars, who soon numbered 18 students at 6 different schools. A large grant from a foundation allowed the Sursum Corda Scholarship Fund, Inc. to expand placements into boarding schools and colleges and to provide academic support programs and counseling. She finally left my finance job and devoted my career to the program. She spent more time with the students, evaluating schools, and learning about school and college choices and how it can affect a young life. She watched a cohort of students move through school and into college together, which taught Kristin a great deal about education, learning, and success. Many years later, White made the transition to private practice and became an independent educational consultant. Although she already had many contacts in education and years of experience, she attended training programs such as the Harvard Institute on College Admissions and local NACAC conferences. She applied for membership in IECA, and eventually went on to be a member of the Outreach Committee. She has worked with hundreds of students from across the world. She has many interesting colleaguesin the educational world, including one young man named Eric, who is now a teacher in the DC public schools and the founder of PowerSchool, a empowerment program for high-achieving, low income students.